This 17-year-old high school student of Maple Glen, Montgomery County, appreciates drive in terms of a soccer player controlling the ball downfield. His insight here comes from being the unofficial assistant team manager for the Upper Dublin Soccer Club. He also understands drive as in the grit and determination needed to overcome setbacks. Tyler suffered an enzyme deficiency that threatened his infancy. Owing to the kindness of a stranger - a selfless bone marrow donor - he conquered the disease. And last, he has clear insight into the type of drive that is a concerted effort at raising awareness or gaining participation. Like a clothing drive. Or a food drive. All three of these pieces of Tyler&apos;s backstory come together for the October 8-9 Jack Walsh Memorial Tournament (JWMT), the organization&apos;s 25th, taking place at Abington Junior-Senior High School and Upper Dublin High School. The competitions are open to the public. And Tyler&apos;s involvement is one more reason to attend. He will be onsite both days, providing information to encourage the public to register for "Be the Match Registry," part of the National Marrow Donor program that saved his life. "At the age of 13 months, I was diagnosed with a rare genetic disorder," Tyler says. "I was the recipient of two bone marrow transplants before the age of two. "Today, I am a senior in high school who just received his first college acceptance letter. Two Fridays ago, I went to an instant-decision day at Cabrini, and I got accepted. I&apos;m interested in a degree in sports management. "Without my bone marrow donor and my successful transplant, I probably would not be here today. Most children with my genetic disorder do not live past the age of five." According to his mother, Chris, Tyler&apos;s initiative is one of education. He is looking to spread awareness of the match organization, as well as to highlight the need for donors and what that program actually does. The registration process is as simple as a cheek swab. "The registry is in need of donors that represent diverse racial, ethnic and ancestry profiles," Chris explains. "They&apos;ve also got to be willing to donate to any patient in need. The more people they have in the registry, the more chances of finding a match." Tyler&apos;s effort at this weekend&apos;s JWMT is one half of a two-pronged project to increase donor awareness and registration, followed by a November 5-6 drive in the cafeteria of Upper Dublin High School. At the soccer tournament, he will be alongside his dad, Coach Matt. "[Tyler] helps with the organization of the teams and keeps track of stats," Chris explains. The tournament has become a Columbus Day tradition. It is expected to draw more than 400 boys and girls youth travel soccer teams from across the region. 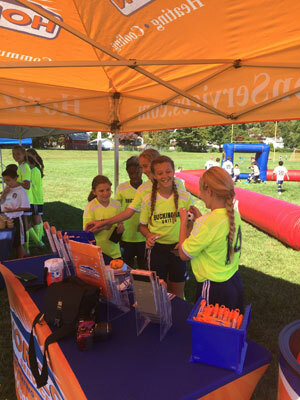 A partnership with NXT Soccer, a Philadelphia-based sports management company, brings additional resources for the 2016 edition, assisting with organization, tech and overall communication. The Jack Walsh tournament dates to 1992 and honors a legendary coach who devoted more than 30 years to area kids playing soccer. Chris and Tyler are both acutely aware that they have benefited greatly from the generosity of someone they have never met. For Chris, it inspires her support of her son&apos;s initiative in linking donors with other patients needing transplants. "It&apos;s a selfless act. From a stranger. Helping someone. They&apos;re saving someone&apos;s life from things like leukemia, blood cancers, multiple diseases and, in our case, enzyme deficiencies," she concludes. "If you present most people with the idea that they can save somebody&apos;s life, they say, ‘Absolutely. How can I help?&apos;"
For more information the bone marrow registry program, see Be the Match. 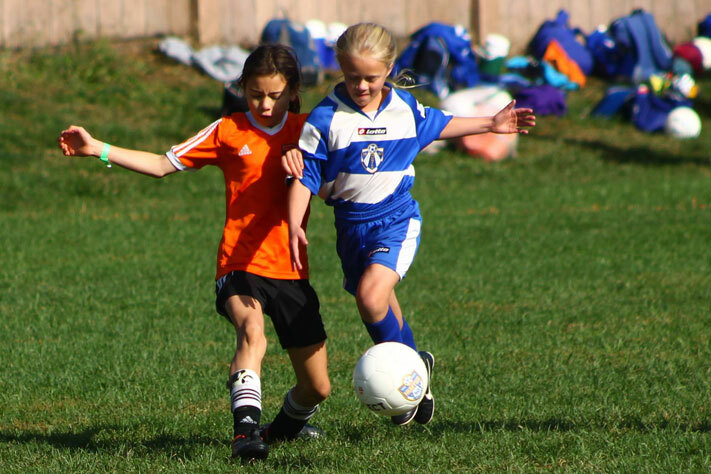 For more information on this weekend&apos;s soccer tournament, see NXT.